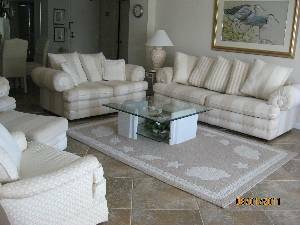 This 1370 sq.ft condo will afford you the comforts and amenities of home while you relax on your vacation. 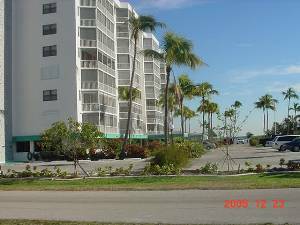 The condo is located at the prestigious southern end of Estero, the quiet end of the island. 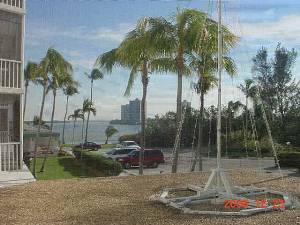 You'll enjoy the view of the bay from the oversize lanai. Enjoy the pool, hot tub or fishing off of the docks. The club house has a sauna, exercise room, pool table, ping pong table, full kitchen and a room large enough to accomodate your next family reunion! 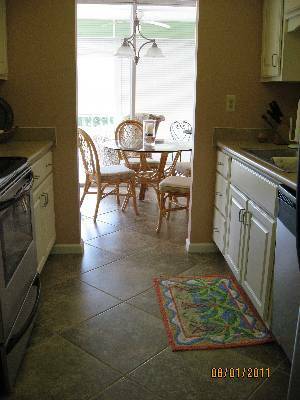 The condo has a remodeled kitchen, tile floors and stainless steel appliances. 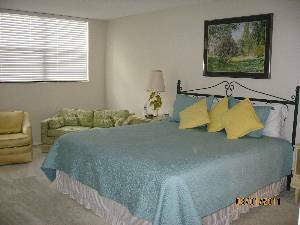 It is fully equipped with ceiling fan, microwave, mixer, coffee maker, blender, toaster,all utensils, dishes and linens. 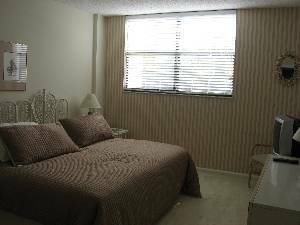 A washer and dryer are located inside the condo and a washer/dryer is available on the floor, for additional laundry. The spacious master bedroom has a full size sofa, affording an additional enclave. Both bedrooms have kingsize beds and each has a TV, as well as the TV and DVD in the great room. Wireless internet is available in the condo. 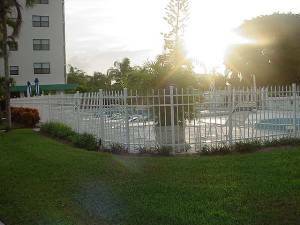 The pool area is beautifully landscaped and pool very well maintained. It has an outdoor hot tub, to be enjoyed, as well. There is a gas grill and a shuffleboard area. 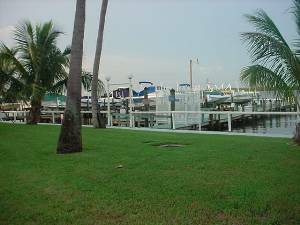 Boat rentals of all types are offered at Fish Tale Marina behind the Santini Plaza. You could choose to bike across the bridge to Lovers Key State Park.